The best recliners for elderly people should provide ample support and comfort to the entire body. Of course, our first instinct when there are senior citizens at home is prioritizing safety. 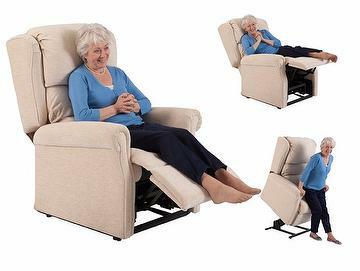 I live with my elderly parents and it’s a must to have a recliner that prevents falling and injuries, especially while sleeping. 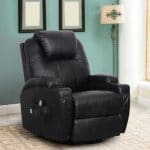 Electric recliners are the most popular because they require seniors to use less power, consequently allowing for increased mobility and high quality safety sleeping. After seeing the advantages of having a great recliner, it will make a lot more sense to buy one your for your parents and grandparents. Mine actually became the centerpiece of our home’s living room. It looks great, has great back support, and is sturdy enough to survive my kids using it. It is a massive hit — not just with my grandparents, but with their friends as well. It may be cliché, but expect the unexpected. If it’s your first time buying one, you should first research the brands that will fit your budget. This gives you an overview of all your options — price, brand, durability, and satisfaction rating among buyers. Just like buying a house, you must do your research and be prepared to look at factors such as: furnishing, factors for disabled peoples, seating material & mobility issues. 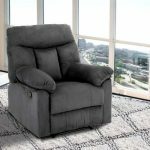 This can be overwhelming, which is why we researched the best lift recliners, power recliners and several seniors’ chairs. With proper research, you can get a solid power, lift or riser chair with incredible features. Select one that doesn’t give you unrealistic promises (such as curing back pain for good) and features. Think about your elderly folks back home and ask them for their opinion before proceeding with anything. But one thing is for sure: Your recliner will be heavily used and abused, especially when it’s difficult to sleep in bed. Aside from research, consider who you are buying the chair for. How will their body react to the fabric used or the material padding? The cost may be great, but at least it’s the right call when striking a balance between cost-efficiency and quality. The best type of recliner is one that fits your budget nicely. There is no point in trying to force yourself to buy a chair that feels off, yet tempting to buy because it is affordable. You are spending good money on relaxation and comfort, and to ensure that all consumers needs our met, our guide touches on many price points. You can also pick a chair or brand that has a long history of satisfaction, but packs more price and reputation. Check out user reviews online so you can narrow down your options. 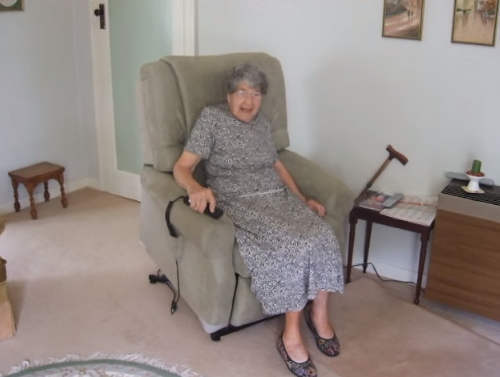 Most importantly, remember that an excellent recliner for older people allows them to do more and makes them feel more independent, especially if they have certain physical handicaps that limit mobility. This is your first priority in choosing a new chair. It must be tough enough to withstand a person’s weight while providing comfort, safety, and security. Without a fortified backbone, the recliner can easily break and cause injury. Therefore, its design should incorporate a hardwood or metallic frame. 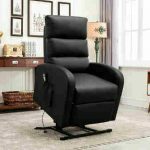 ﻿﻿﻿﻿﻿﻿﻿﻿Langria Contemporary Recliner has a frame made of high quality wood and metal (which is difficult to break) and detachable armrests that can be removed with ease to make cleaning extremely easy. 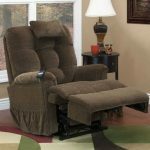 A recliner that has foundation problems can make it difficult to use, for fear that the entire chair won’t be able to take the weight. Check out its framing first before anything else so you can assess your next move. If it’s durable enough, go for it. If it’s not, move on to the next brand and do the same. Deploying the leg rest means a lot because it transforms the recliner into a solo bed. The armrests also plays an important role in reclining: It supports the upper body and makes it parallel to the resting position. It can also have a cup and remote holder attached to it, adding versatility and uniqueness to its entire function. Take advantage of these added features whenever possible — reclining with your favorite cup of tea makes the experience even more comfortable and enjoyable. The same principle of the sturdy frame applies here. It should totally accommodate the weight of the person resting on it. Armrests should also be wide to fit all body types. Med Lifts 5555 Recliner is definitely worth considering because of its padding and width. It’s great to have a thick chair when watching television, especially for our elderly folks because the armrest can also serve as a makeshift table for food and drinks. Though this isn’t what the manufacturer probably had in mind, but it’s still good to have something do double duty. 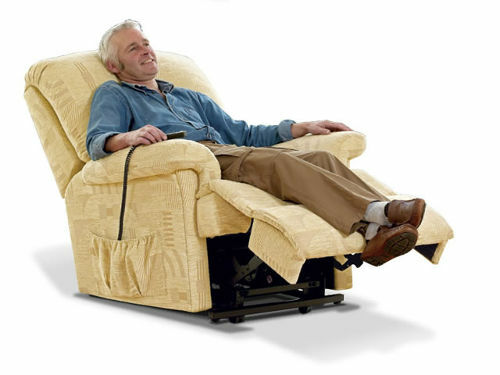 Reclining is serious business for the older people because it is one way of releasing stress and easing pain. If you want to sleep, you can do so after the footrest is elevated and the bed adjusted backwards. Back support is not just the fabric but also the technology behind it, how it operates, and the maximum possible angle for supporting the feet and back of the user. Both chairs mentioned above have premium features. Additionally, Langria also threw in a nob that provides a 2 reclining position that allows the lever to be pulled out. This gives you more ways of modifying how the recliner works. For the Med Lift 5555, you have an automatic way of lowering yourself further until you find your sweet spot. If the manufacturer made one with a swiveling base, make sure the material used is resilient and tough. Durability is important because the weight of the entire recliner is pressed upon the bottom, which is in a state of motion most of the time. The swaying motion makes it susceptible to stress because it’s not always in the same position. The best recliners are the ones that can sustain fluid motion and stay in place. Swivel chairs should be capable of doing both because the added motion provides ambiance. A flimsy manual mechanism can be problematic. A mechanism is a spring that relieves tension, an actuator that focuses on reducing stress experienced whenever the recliner is folding. It should be made of heavy-duty stamped steel. Stamping, or metalworking, involves compressing a flat sheet of metal to transform it into either blanks or coils. The stamped steel should be rigid enough and must have passed stringent standards with flying colors. Otherwise, the recliner may not be able to keep a steady position. This could be due to the excessive load carried by the spring. It must be rigid enough because as you may want to sit high or low, sometimes alternating between both. You should also give considerable consideration to the upholstery of the recliner. The padding should not split easily because the horizontal fabric can push out and cause the person sitting on it to slip or fall — not to mention becoming the breeding ground of germs and bacteria that will only spell harm for your health. Make it a habit to check if the upholstery of the recliner is installed well. I did my check by putting my fingers in-between the padding, especially at the topmost edge of the seat and back support. We do this because we want to see if prodding fingers inside would cause sudden movements. Fortunately for me — as well as my dad and mom — it did not budge at all. This meant the recliner was built right, and that it could be used by anyone for extended periods of time. My children could sit in my dad’s lap and I wouldn't have to worry about the upholstery or padding giving way from their combined weight. Can a Recliner For Knee Problems Help Ease Pain? Knee problems can make prolonged standing or sitting unbearable. However, it isn’t advisable to stay in bed for a long time either. There is no one size fits all cure for the aches, but a recliner can help with knee problems. Sitting on a recliner can help relieve lower body pain. If the chair is fully reclined, resting on it can ease joint aches and muscle pains. This is also beneficial for those who can hardly sleep on beds. 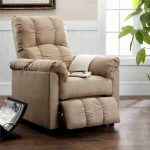 These advantages make a recliner ideal for elderly people who are becoming increasingly prone to knee issues. However, it is important to note that the chair must only be used for a couple of hours. Even if it’s too painful to get moving, anyone with knee problems should get up from the chair, do some exercise to get the blood moving. 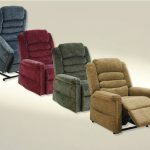 Based on their functions, recliners are classified into: two-position, rocker, riser and push-up. The first three types usually have built-in foot rest. This is the feature that is most beneficial for those with knee problems. Of the four types though, the two-position tends to be the most affordable and hence, the most popular. Chairs may also be categorized into battery-operated and electric-powered. Between the two, the electric-powered model tends to be more advantageous because it doesn’t require recharging or replacing of batteries. Recliners from different brands have varying designs, features and accessories. For people with knee problems, those with simple designs, user-friendly features and minimal accessories are better because their maintenance requirements are more manageable. Divano Romano Furniture’s Power Recliner is one of best on the market. Its cushions are covered with bonded leather and it comes in either black or brown color. The controls of are easily accessible on the right side of the chair and it operates quietly for better relaxation. This is a two-position recliner which means that the user can either sit upright or recline in it. Another good thing about this chair is its built-in foot rest that automatically rises. Like many other power recliners, it offers nothing but comfort to users, especially those with knee problems. Arthritis is a term commonly used to refer to any joint pain or joint disease. It is the inflammation of a joint which has varied causes such as injury, metabolic abnormalities, hereditary factors, infections, and autoimmunity. Young and old, men and women, are all be affected by this ailment. The focus of treatment for arthritis is to control pain, minimize and prevent further joint damage, and improve or at least maintain quality of life for patients. There are medications which target a specific type of arthritis. Surgery is also performed to save terminal cases of damage. Non-pharmacological therapies may also be done, alongside with the essential practices of making time for maintaining a healthy weight and appropriate physical activity. One practical daily aid to people is using a recliner. Recliners can provide relief by controlling pressure. 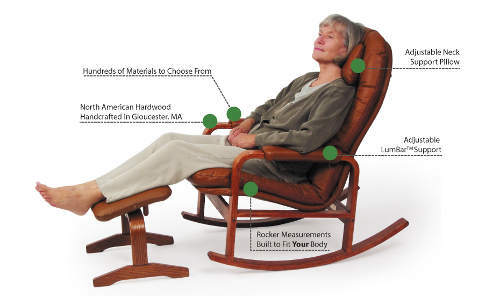 They ensure that the body weight is evenly distributed across the chair, minimizing pressure on the affected joints. They also offer flexibility for the user and can be adjusted to a more comfortable position, especially if the patient needs to stay sat down for a long time due to his or her condition. Good posture and body support are also maintained which is vital. 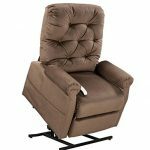 Mega Motion Infinite Position Power Easy ﻿﻿Comfort ﻿﻿Lift ﻿﻿Chair﻿﻿ is a great recliner for people suffering with arthritis. 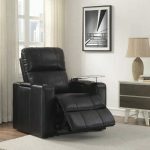 It offers three positions (closed, partial recline, and full recline) and all electric powered (integrated with battery emergency backup) lift and recline mechanism. The chair is easily adjustable to the user’s preference and convenience – whether watching television, sleeping, or simply relaxing. It features padded roll arms, padded seat, and a button tufted back for optimum comfort. It is also equipped with a furniture grade hardwood construction with heavy-duty steel lift, which can accommodate users weighing up to 325 pounds. For security, it comes with 2-year manufacturer’s warranty on parts and a lifetime lift mechanism warranty. The price also includes a free delivery. 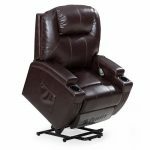 Our editors pick goes to the Med Lift 5555 Recliner. It's medical approval and soft padding made it stand out from the pack. 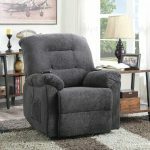 Easily one of the most reliable and comfortable recliners, it helps ease knee pains and sensitive areas. Definitely a winner!